Cake Fox is now on hiatus. But no worries, the reasons are not very dramatic. I just want to learn some new things, and work on my art stuff, for a while. The store skybox is still there, just a simpler build. So you can find the items available there, and you can also use the redelivery terminal and get the free gifts. Do not be confused by the name of the plot, I am using it for my gallery stuff at the moment. I am working on a build at the cool themed sim called New Toulouse. Miss Pie's is going to have a soda fountain and free noms. Some literature stuff should turn up soon, too. 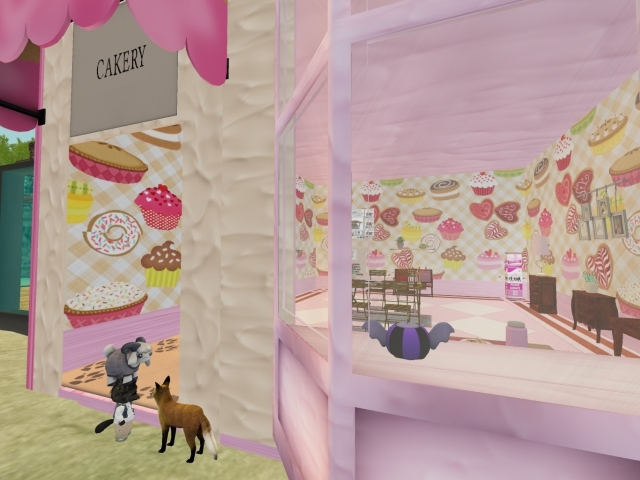 Cake Fox at Tinyopolis was turned into a Cakery bake shop. We already had an eager customer at the door. You get free noms there, so you can just hang out, too and maybe cam shop around the sim. They have a great market at Isle of Wyrms and my vendors are up at a new spot, there. 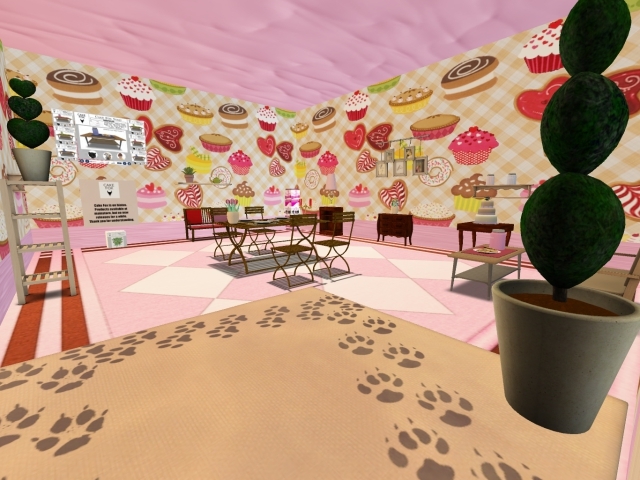 My stuff is available at Raglan Shire in the swag location, as well.